Bingo and card games, crossword puzzles, scrabble tiles, beeping Easter eggs, soccer balls with bells - we have it all for your fun! Basketball comes with double bells only. 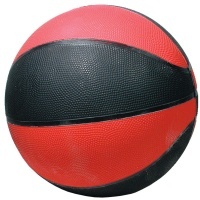 Basketball comes with double bells inside, and directional beeper. 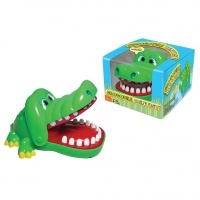 What better way for children to celebrate Easter than with an Easter Egg Hunt? 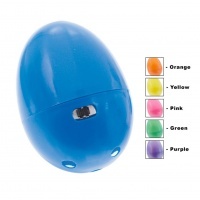 These specially designed Beeping Easter Eggs help Blind and Visually Impaired kids join in on the fun Instead of going by visual cues, kids can locate these eggs by following the loud, clear beep they emit. Beeping Easter Eggs can also be used on Easter morning to provide an audible alert as kids with low vision experience the excitement of locating their Easter baskets. 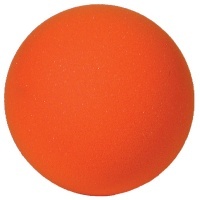 In addition, they're great for use at disability awareness functions as well as senior homes and assisted living facilities to bring the joy of Easter to all ages. 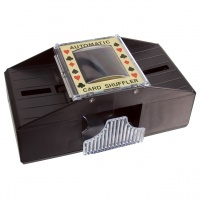 To use, just place an egg around the area of the hunt and flip the ON/OFF slide switch to turn on the beeper. The beeper assembly and batteries are housed in the bottom half of each egg, leaving the top half hollow. Note: Holes in the eggs to allow the beep sound to be heard more clearly, so be careful not to submerge them in water to avoid damaging the beeper. Eggs measure 3 Long x 2-1/4 Diameter. Assorted colors: Blue, Orange, Yellow, Pink, Green, Purple - we'll choose for you. 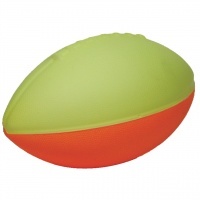 Each egg uses easy to find- 2 Size N long lasting batteries, (included.) Price is for individual eggs. Additional discount available for orders of 12 eggs or more. These eggs are made to be enjoyed for years of fun family tradition. On/Off switch. Uses one 9V battery (included). Get in the game and hear where the ball is headed! 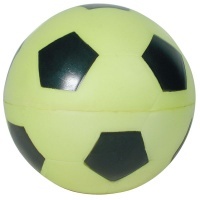 This accessible Beeping Foam Soccer Ball emits a beeping tone, allowing all players to know where it is going by sound, rather than by sight. On/Off switch. Uses one 9V battery. 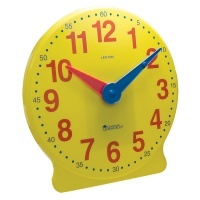 Excellent for learning the time with huge easy-to-read hour and minute markings. Internal gears hold correct time setting so demonstrating and time concepts can be instructed. Note: This is not a functioning clock. 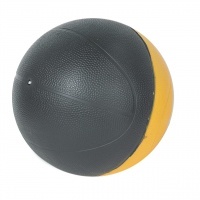 It was designed for education and demonstration purposes only. 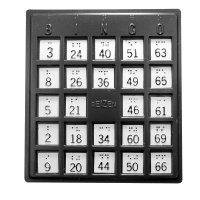 Braille Plastic Bingo Boards - Get back in the game with these easy to use braille Bingo cards! Now you can enjoy a fun-filled evening of Bingo with your friends and family without the hassle of vision impairment. These braille bingo boards measure 8 1/4 X 8 1/4 inches. Feature braille and black, raised numbers. Markers included. The popular family card game now comes to you Brailled for greater accessibility to all players! Be the first to score 500 points and win the game. Terrific for 2 to 10 players, ages 7 to 100.